Gertie Jurczyk (nee Jara), 79, of Mansfield and formerly of Amherst and Lorain, died Saturday April 21, 2018 in Mansfield surrounded by her children. 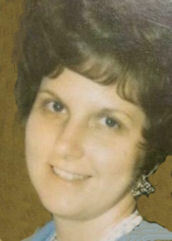 Gertie was born on October 10, 1938 in Lorain to Peter & Bertha Jara (nee Wojewodka). On June 18,1960 she married Clarence (Larry) Jurczyk and they were married for over 51 years. Surviving are children Chris (Eric) Brugler, Warren, OH; Bonnie (Tim) Secrist, Lexington, OH; Annie (Steve Miller) Jurczyk, Milwaukee, WI; Tim (Michelle) Jurczyk, Van Wert, OH; 13 Grandchildren and 7 Great Grandchildren. Also surviving are sisters Annamarie (Joe) Rayman, Huron, OH; Pat (Richard Marcus) Jara, Boca Raton, FL. Preceding Gertie in death are her parents, her husband and her sister Flo Mutnansky. Gertie was a licensed beautician working at Higbee’s in the Terminal Tower in Cleveland. Once married she was a stay at home mom and became an awesome grandma and great grandma. She had a kind heart and soul and always thought of others before herself. She loved to stay connected with everyone through cards and telephone calls.